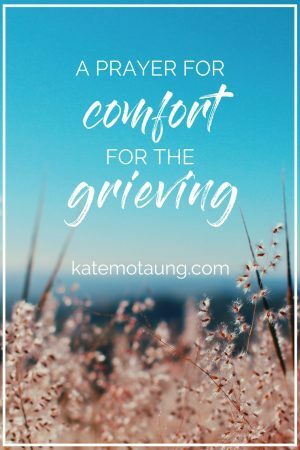 Are you or someone you know grieving a loss right now? Here is a prayer for comfort just for you. If you want to print it out, find the free printable download below. I lift up Your dear, grieving child to You today. Thank You for being the God of all comfort (2 Corinthians 1:3). Please help this child of Yours to feel Your loving arms of comfort around them now and always. Thank You for promising to never leave us or forsake us (Deuteronomy 31:6; Hebrews 13:5). I pray that Your grieving child would have a strong sense of Your presence in the midst of their pain. 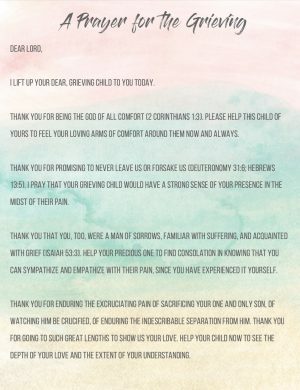 Thank You that You, too, were a man of sorrows, familiar with suffering, and acquainted with grief (Isaiah 53:3). Help Your precious one to find consolation in knowing that You can sympathize and empathize with their pain, since You have experienced it Yourself. Thank You for enduring the excruciating pain of sacrificing Your one and only Son, of watching Him be crucified, of enduring the indescribable separation from Him. Thank You for going to such great lengths to show us Your love. Help Your child now to see the depth of Your love and the extent of Your understanding. Thank You for being a God who heals the brokenhearted and binds up their wounds (Psalm 147:3). Please heal this dear child’s broken heart. Bind up their wounds. Grant them an unwavering hope in You, the ultimate physician and healer. And Lord, please give them patience as they wait on You. Thank You for promising that one day, You will wipe every tear from Your children’s eyes. Thank You for promising that one day “there will be no more death or mourning or crying or pain” (Revelation 21:4). Please use this experience to increase Your child’s desire to be with You in heaven. Help Your dear child to realize that even though it might not feel this way at the moment, “this light and momentary affliction is preparing for us an eternal weight of glory beyond all comparison” (2 Corinthians 4:17). Lord, even in the midst of grief, I pray that hope would prevail. Cause Your grieving one to possess an anchor of hope within, firm and secure (Hebrews 6:19). Thank You that Your grace is sufficient, and that Your power is made perfect in weakness (2 Corinthians 12:9). Show us Your glory even in the midst of heartache. 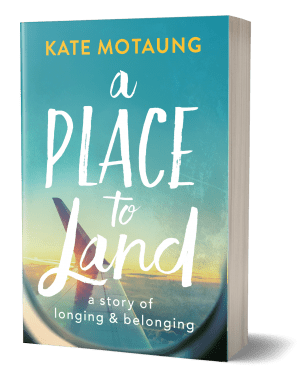 For more on the topic of finding comfort in the midst of grief, check out my books, A Place to Land: A Story of Longing and Belonging, and Letters to Grief: Walking Through Loss with Hope. The links above are affiliate links to Amazon. If you choose to click through and make a purchase, I will receive a small commission at no extra cost to you. Thank you in advance for your support! Amen. What a beautiful prayer. Thank you. God bless you.